Arsene Wenger is reportedly considering a shock return to football in the Middle East. 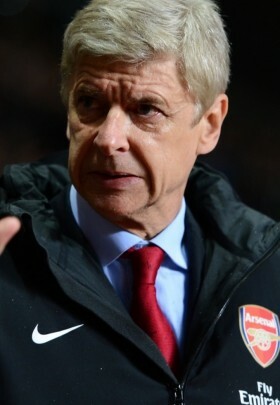 The former Arsenal manager, who has been out of work since leaving Arsenal last season, is ready for a return but at this point, it is uncertain as to which what capacity he will be coming back. Former Arsenal boss Arsene Wenger has admitted that he is surprised that Aaron Ramsey has decided to part ways with the Gunners at the end of the season. Former Arsenal manager Arsene Wenger has said that Aaron Ramsey will be a big loss for the Gunners once his contract expires at the end of the campaign. Former Arsenal manager Arsene Wenger has reportedly emerged as the favourite to become the next Bayern Munich head coach. Leicester City are reportedly said to hold an interest in acquiring the signature of Arsenal midfielder Mohamed Elneny when the transfer window reopens. Arsenal are reportedly considering the sale of midfielder Mohamed Elneny in January with manager Unai Emery seeking to recoup funds to pursue a new recruit. Former Arsenal manager Arsene Wenger has reportedly urged Paris Saint-Germain to make an approach for Gunners midfielder Aaron Ramsey. Switzerland international Granit Xhaka believes Arsenal can return to the Champions League next season after making a strong start to the proceedings under manager Unai Emery. Former Arsenal boss Arsene Wenger believes the Gunners have the chance to contest for the Premier League title under the guidance of manager Unai Emery. Former Arsenal manager Arsene Wenger has dismissed the possibility of him taking charge of Real Madrid, who are currently on the look out for a new head coach. Mauricio Pochettino could be set to take over the vacant Real Madrid job after Julen Lopetegui's sensational sacking. Lopetegui has seen Real embark on their worst run of early season form since 2001 and paid a heavy price for his dismal start as the club's manager. Real Madrid have fired Julen Lopetegui after 139 days in charge of the club. The former Spain national team coach, who controversially took the Real job whilst still managing his country, has paid a heavy price for a dismal run of form since taking over in Madrid. Former Arsenal manager Arsene Wenger reportedly has no plans of returning to England to manage another Premier League outfit.